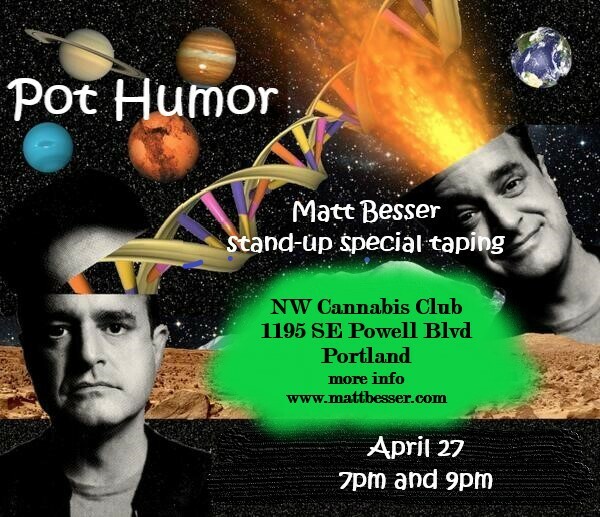 You don’t want to miss the warm-up for my stand-up special taping in Portland! PLUS Natalie Palamides is going to be there doing characters just to bug you out!!! I’m taping my stand-up special! You will be able to bring your own weed to the show and smoke during the taping! This entry was posted in Uncategorized and tagged "matt besser", improv4humans, UCB. Bookmark the permalink.